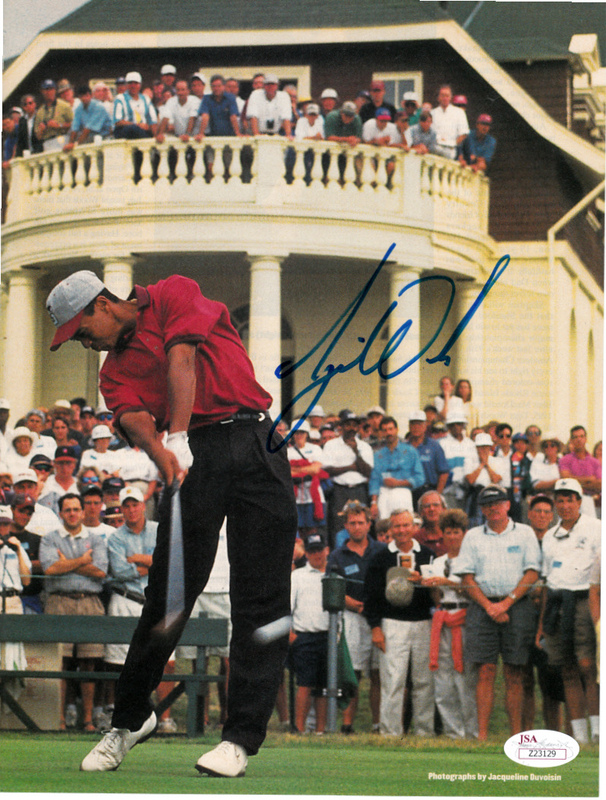 Original 1995 Sports Illustrated magazine full page action photo of Tiger Woods when he was starring for the Stanford golf team, autographed in blue marker with his signature of that era which is obviously extremely rare. 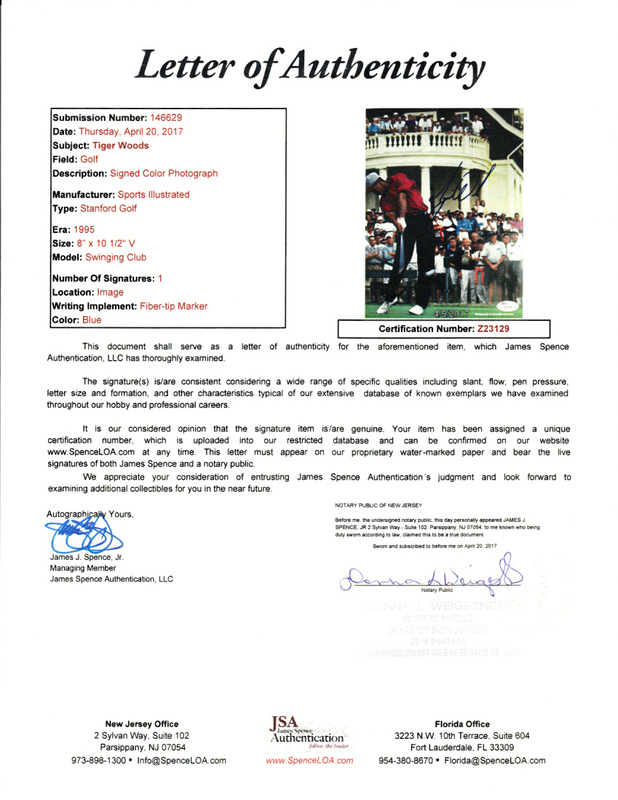 Obtained in person by me at the 1995 Sullivan Awards in Orlando. 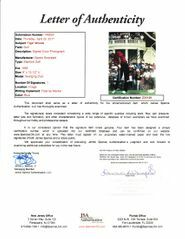 Authenticated by JSA with their matching numbered stickers on the photo and Letter of Authenticity.